Not to be confused with tart, torte, or torta. A tort, in common law jurisdictions, is a civil wrong that unfairly causes someone else to suffer loss or harm resulting in legal liability for the person who commits the tortious act, called a tortfeasor. Although crimes may be torts, the cause of legal action is not necessarily a crime, as the harm may be due to negligence which does not amount to criminal negligence. The victim of the harm can recover their loss as damages in a lawsuit. In order to prevail, the plaintiff in the lawsuit, commonly referred to as the injured party, must show that the actions or lack of action was the legally recognizable cause of the harm. The equivalent of tort in civil law jurisdictions is delict. Legal injuries are not limited to physical injuries and may include emotional, economic, or reputational injuries as well as violations of privacy, property, or constitutional rights. Torts comprise such varied topics as auto accidents, false imprisonment, defamation, product liability, copyright infringement, and environmental pollution (toxic torts). While many torts are the result of negligence, tort law also recognizes intentional torts, where a person has intentionally acted in a way that harms another, and in a few cases (particularly for product liability in the United States) "strict liability" which allows recovery without the need to demonstrate negligence. Tort law is different from criminal law in that: (1) torts may result from negligent as well as intentional or criminal actions and (2) tort lawsuits have a lower burden of proof such as preponderance of evidence rather than beyond a reasonable doubt. Sometimes a plaintiff may prevail in a tort case even if the person who allegedly caused harm was acquitted in an earlier criminal trial. For example, O. J. Simpson was acquitted in criminal court of murder but later found liable for the tort of wrongful death. Roman law contained provisions for torts in the form of delict, which later influenced the civil law jurisdictions in Continental Europe, but a distinctive body of law arose in the common law world traced to English tort law. The word 'tort' was first used in a legal context in the 1580s, although different words were used for similar concepts prior to this time. Torts and crimes at common law originate in the Germanic system of compensatory fines for wrongs (OE unriht), with no clear distinction between crimes and other wrongs. In Anglo-Saxon law, most wrongs required payment in money or in kind (bōt, literally 'remedy') to the wronged person or their clan. Wīte (literally 'blame, fault') was paid to the king or holder of a court for disturbances of public order. Weregild, which was a murder fine based on a victim's worth, was intended to prevent blood feuds. Some wrongs in later law codes were botleas 'without remedy' (e.g. theft, open murder, arson, treason against one's lord), that is, unable to be compensated, and those convicted of a botleas crime were at the king's mercy. Items or creatures which caused death were also destroyed as deodands. Assessing intention was a matter for the court, but Alfred the Great's Doom book did distinguish unintentional injuries from intentional ones, whereas culpability depended on status, age, and gender. After the Norman Conquest, fines were paid only to courts or the king, and quickly became a revenue source. A wrong became known as a tort or trespass, and there arose a division between civil pleas and pleas of the crown. The petty assizes (i.e. of novel disseisin, of mort d'ancestor, and of darrein presentment) were established in 1166 as a remedy for interference with possession of freehold land. The trespass action was an early civil plea in which damages were paid to the victim; if no payment was made, the defendant was imprisoned. The plea arose in local courts for slander, breach of contract, or interference with land, goods, or persons. Although the details of its exact origin are unclear, it became popular in royal courts so that in the 1250s the writ of trespass was created and made de cursu (available by right, not fee); however, it was restricted to interference with land and forcible breaches of the king's peace. It may have arisen either out of the "appeal of felony", or assize of novel disseisin, or replevin. Later, after the Statute of Westminster 1285, in the 1360s, the "trespass on the case" action arose for when the defendant did not direct force. As its scope increased, it became simply "action on the case". The English Judicature Act passed 1873 through 1875 abolished the separate actions of trespass and trespass on the case. In 1401, the English case Beaulieu v Finglam imposed strict liability for the escape of fire; additionally, strict liability was imposed for the release of cattle. Negligently handling fire was of particular importance in these societies given capacity for destruction and relatively limited firefighting resources. Liability for common carrier, which arose around 1400, was also emphasized in the medieval period. Unintentional injuries were relatively infrequent in the medieval period. As transportation improved and carriages became popular in the 18th and 19th centuries, however, collisions and carelessness became more prominent in court records. In general, scholars of England such as William Blackstone took a hostile view to litigation, and rules against champerty and maintenance and vexatious litigation existed. The restriction on assignment of a cause of action is a related rule based on public policy. The right of victims to receive redress was regarded by later English scholars as one of the rights of Englishmen. Blackstone's Commentaries on the Laws of England, which was published in the late 18th century, contained a volume on "private wrongs" as torts and even used the word tort in a few places. United States tort law was influenced by English law and Blackstone's Commentaries on the Laws of England, with several state constitutions specifically providing for redress for torts in addition to reception statutes which adopted English law. However, tort law was viewed as relatively undeveloped by the mid-19th century; the first American treatise on torts was published in the 1860s but the subject became particularly established when Oliver Wendell Holmes, Jr wrote on the subject in the 1880s. Holmes' writings have been described as the "first serious attempt in the common law world to give torts both a coherent structure and a distinctive substantive domain", although Holmes' summary of the history of torts has been critically reviewed. The law of torts for various jurisdictions has developed independently. In the case of the United States, a survey of trial lawyers pointed to several modern developments, including strict liability for products based on Greenman v. Yuba Power Products, the limitation of various immunities (e.g. sovereign immunity, charitable immunity), comparative negligence, broader rules for admitting evidence, increased damages for emotional distress, and toxic torts and class action lawsuits. However, there has also been a reaction in terms of tort reform, which in some cases have been struck down as violating state constitutions, and federal preemption of state laws. Modern torts are heavily affected by insurance and insurance law, as most cases are settled through claims adjustment rather than by trial, and are defended by insurance lawyers, with the insurance policy, a deep pocket limit, setting a ceiling on the possible payment. In the international comparison of modern tort law, common law jurisdictions based upon English tort law have foundational differences from civil law jurisdiction, which may be based on the Roman concept of delict. Even among common law countries, however, significant differences exist. For example, in England legal fees of the winner are paid by the loser (the English rule versus the American rule of attorney fees). Common law systems include United States tort law, Australian tort law, Canadian tort law, Irish tort law, and Scots Law of Delict. The Jewish law of rabbinic damages is another example although tort in Israeli law is technically similar to English law as it was enacted by British Mandate of Palestine authorities in 1944 and took effect in 1947. There is more apparent split between the Commonwealth countries (principally England, Canada and Australia) and the United States, although Canada may be more influenced by the United States due to its proximity. The United States has been perceived as particularly prone to filing tort lawsuits even relative to other common law countries, although this perception has been criticized and debated. As of 1987, class actions were relatively uncommon outside of the United States. As of 1987, English law was less generous to the plaintiff in the following ways: contingent fee arrangements were restricted, English judges tried more decisions and set damages rather than juries, wrongful death lawsuits were relatively restricted, punitive damages were relatively unavailable, the collateral source rule was restricted, and strict liability, such as for product liability, was relatively unavailable. England's welfare state, such as free healthcare through National Health Service, may limit lawsuits. On the other hand, as of 1987 England had no workers compensation system and lawsuits due to workplace injuries were relatively common and facilitated by trade unions, whereas in the United States the system of workers compensation insurance prohibits lawsuits against the employer although lawsuits against third parties such as manufacturers does occur. The United States also has faced a rise in no-fault insurance for automobile liability in several states. In England, ombudsmen may also take cases which could alternatively become tort lawsuits. 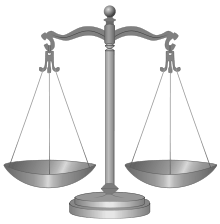 When comparing Australia and the United States, Australia's tort law is similarly state law; however, there is a federal common law for torts unlike the United States. The influence of the United States on Australia has been limited. The United States may have influenced Australia's development of strict liability for products indirectly through legislation affected by European Union, and in the 1990s class actions were introduced in Australia. Australia has universal healthcare and 'welfare state' systems which also limit lawsuits. In New Zealand, a no-fault accident compensation system has limited the development of personal injury torts. In certain instances, different jurisdictions' law may apply to a tort, in which case rules have developed for which law to apply. This occurs particularly in the United States, where each of the 50 states may have different state laws, but also may occur in other countries with a federal system of states, or internationally. Torts may be categorized in several ways, with a particularly common division between negligent and intentional torts. Quasi-torts may be used to refer to torts which are similar to but somewhat different from typical torts. Particularly in the United States, "collateral tort" is used to refer to torts in labour law such as intentional infliction of emotional distress ("outrage"); or wrongful dismissal; these evolving causes of action are debated and overlap with contract law or other legal areas to some degree. The standard action in tort is negligence. The tort of negligence provides a cause of action leading to damages, or to relief, in each case designed to protect legal rights, including those of personal safety, property, and, in some cases, intangible economic interests or noneconomic interests such as the tort of negligent infliction of emotional distress in the United States. Negligence actions include claims coming primarily from car accidents and personal injury accidents of many kinds, including clinical negligence, worker's negligence and so forth. Product liability cases, such as those involving warranties, may also be considered negligence actions or, particularly in the United States, may apply regardless of negligence or intention through strict liability. Intentional torts include, among others, certain torts arising from the occupation or use of land. The tort of nuisance, for example, involves strict liability for a neighbor who interferes with another's enjoyment of his real property. Trespass allows owners to sue for entrances by a person (or his structure, such as an overhanging building) on their land. Several intentional torts do not involve land. Examples include false imprisonment, the tort of unlawfully arresting or detaining someone, and defamation (in some jurisdictions split into libel and slander), where false information is broadcast and damages the plaintiff's reputation. In some cases, the development of tort law has spurred lawmakers to create alternative solutions to disputes. For example, in some areas, workers' compensation laws arose as a legislative response to court rulings restricting the extent to which employees could sue their employers in respect of injuries sustained during employment. In other cases, legal commentary has led to the development of new causes of action outside the traditional common law torts. These are loosely grouped into quasi-torts or liability torts. The tortfeasor directly caused the injury [but for the defendant's actions, the plaintiff would not have suffered an injury]. In certain cases, negligence can be assumed under the doctrine of res ipsa loquitur (Latin for "the thing itself speaks"); particularly in the United States, a related concept is negligence per se. For example, in the business realm, the auditor has a duty of care to the company they are auditing - that the documents created are a true and reliable representation of the company's financial position. However, as per Esanda Finance Corporation Ltd v. Peat Marwick Hungerfords, such auditors do NOT provide a duty of care to third parties who rely on their reports. An exception is where the auditor provides the third party with a privity letter, explicitly stating the third party can rely on the report for a specific purpose. In such cases, the privity letter establishes a duty of care. Proximate cause means that you must be able to show that the harm was caused by the tort you are suing for. The defense may argue that there was a prior cause or a superseding intervening cause. A common situation where a prior cause becomes an issue is the personal injury car accident, where the person re-injures an old injury. For example, someone who has a bad back is injured in the back in a car accident. Years later he is still in pain. He must prove the pain is caused by the car accident, and not the natural progression of the previous problem with the back. A superseding intervening cause happens shortly after the injury. For example, if after the accident the doctor who works on you commits malpractice and injures you further, the defense can argue that it was not the accident, but the incompetent doctor who caused your injury. Torts against the person include assault, battery, false imprisonment, intentional infliction of emotional distress, and fraud, although the latter is also an economic tort. Property torts involve any intentional interference with the property rights of the claimant (plaintiff). Those commonly recognized include trespass to land, trespass to chattels (personal property), and conversion. An intentional tort requires an overt act, some form of intent, and causation. In most cases, transferred intent, which occurs when the defendant intends to injure an individual but actually ends up injuring another individual, will satisfy the intent requirement. Causation can be satisfied as long as the defendant was a substantial factor in causing the harm. A statutory tort is like any other, in that it imposes duties on private or public parties, however they are created by the legislature, not the courts. For example, the European Union's Product Liability Directive imposes strict liability for defective products that harm people; such strict liability is not uncommon although not necessarily statutory. As another example, in England common law liability of a landowner to guests or trespassers was replaced by the Occupiers' Liability Act 1957; a similar situation occurred in the U.S. State of California in which a judicial common law rule established in Rowland v. Christian was amended through a 1985 statute. Statutory torts also spread across workplace health and safety laws and health and safety in food. In some cases federal or state statutes may preempt tort actions, which is particularly discussed in terms of the U.S. FDA Preemption; although actions in the United States for medical devices are preempted due to Riegel v. Medtronic, Inc. (2008), actions for medical drugs are not due to Wyeth v. Levine (2009). "Nuisance" is traditionally used to describe an activity which is harmful or annoying to others such as indecent conduct or a rubbish heap. Nuisances either affect private individuals (private nuisance) or the general public (public nuisance). The claimant can sue for most acts that interfere with their use and enjoyment of their land. In English law, whether activity was an illegal nuisance depended upon the area and whether the activity was "for the benefit of the commonwealth", with richer areas subject to a greater expectation of cleanliness and quiet. The case Jones v Powell (1629) provides an early example, in which a person's professional papers were damaged by the vapors of a neighboring brewery. Although the outcome of this case is unclear, Whitelocke of the Court of the King's Bench is recorded as saying that since the water supply in area was already contaminated, the nuisance was not actionable as it is "better that they should be spoiled than that the commonwealth stand in need of good liquor". In Rylands v. Fletcher (1868), strict liability was established for a dangerous escape of some hazard, including water, fire, or animals as long as the cause was not remote. In Cambridge Water Co Ltd v Eastern Counties Leather plc (1994)), chemicals from a factory seeped through a floor into the water table, contaminating East Anglia's water reservoirs. Defamation is tarnishing the reputation of someone; it has two varieties, slander and libel. Slander is spoken defamation and libel is printed or broadcast defamation. The two otherwise share the same features: making a factual assertion for which evidence does not exist. Defamation does not affect or hinder the voicing of opinions, but does occupy the same fields as rights to free speech in the First Amendment to the Constitution of the United States, or Article 10 of the European Convention of Human Rights. Related to defamation in the U.S. are the actions for misappropriation of publicity, invasion of privacy, and disclosure. Abuse of process and malicious prosecution are often classified as dignitary torts as well. Business or economic torts typically involve commercial transactions, and include tortious interference with trade or contract, fraud, injurious falsehood, and negligent misrepresentation. Negligent misrepresentation torts are distinct from contractual cases involving misrepresentation in that there is no privity of contract; these torts are likely to involve pure economic loss which has been less-commonly recoverable in tort. One criterion for determining whether economic loss is recoverable is the "foreseeability" doctrine. The economic loss rule is highly confusing and inconsistently applied. In 2010, the supreme court of the U.S. state of Washington replaced the economic loss doctrine with an "independent duty doctrine". Economic antitrust torts has been somewhat been submerged by modern competition law. However, in the United States, private parties are permitted in certain circumstances to sue for anticompetitive practices, including under federal or state statutes or on the basis of common law tortious interference, which may be based upon the Restatement (Second) of Torts §766. Federal laws include the Sherman Antitrust Act of 1890 followed by the Clayton Antitrust Act which restrict cartels and through Federal Trade Commission regulate mergers and acquisitions. In the European Union, articles 101 and 102 of the Treaty on the Functioning of the European Union apply but allowing private actions to enforce antitrust laws is under discussion. Negligent misrepresentation as tort where no contractual privity exists was disallowed in England by Derry v Peek ; however, this position was overturned in Hedley Byrne v Heller in 1964 so that such actions were allowed if a "special relationship" existed between the plaintiff and defendant. United States courts and scholars "paid lip-service" to Derry; however, scholars such as William Prosser argued that it was misinterpreted by English courts. The case of Ultramares Corporation v. Touche (1932) limited the liability of an auditor to known identified beneficiaries of the audit and this rule was widely applied in the United States until the 1960s. The Restatement (Second) of Torts expanded liability to "foreseeable" users rather than specifically identified "foreseen" users of the information, dramatically expanding liability and affecting professionals such as accountants, architects, attorneys, and surveyors. As of 1989, most U.S. jurisdictions follow either the Ultramares approach or the Restatement approach. The tort of deceit for inducement into a contract is a tort in English law, but in practice has been replaced by actions under Misrepresentation Act 1967. In the United States, similar torts existed but have become superseded to some degree by contract law and the pure economic loss rule. Historically (and to some degree today), fraudulent (but not negligent) misrepresentation involving damages for economic loss may be awarded under the "benefit-of-the-bargain" rule (damages identical to expectation damages in contracts) which awards the plaintiff the difference between the value represented and the actual value. Beginning with Stiles v. White (1846) in Massachusetts, this rule spread across the country as a majority rule with the "out-of-pocket damages" rule as a minority rule. Although the damages under the "benefit-of-the-bargain" are described as compensatory, the plaintiff is left better off than before the transaction. The economic loss rule which emerged in the 20th century would eliminate these losses if applied strictly, which has led to preclusion of the tort or an exception to allow the tort if not related to a contract. Indirect liability may arise due to some involvement, notably through joint and several liability doctrines as well as forms of secondary liability. Liability may arise through enterprise liability. Other concepts include market share liability. In certain cases, a person might be liable for their employee or child under the law of agency through the doctrine of respondeat superior. For example, if a shop employee spilled cleaning liquid on the supermarket floor and a victim fell and suffered injuries, the plaintiff might be able to sue either the employee or the employer. There is considerable academic debate about whether vicarious liability is justified on no better basis than the search for a solvent defendant, or whether it is well founded on the theory of efficient risk allocation. A successful defense absolves the defendant from full or partial liability for damages. Apart from proof that there was no breach of duty, there are three principal defenses to tortious liability. Typically, a victim cannot hold another liable if the victim has implicitly or explicitly consented to engage in a risky activity. This is frequently summarized by the maxim "volenti non fit injuria" (Latin: "to a willing person, no injury is done" or "no injury is done to a person who consents"). In many cases, those engaging in risky activities will be asked to sign a waiver releasing another party from liability. For example, spectators to certain sports are assumed to accept a risk of injury, such as a hockey puck or baseball striking a member of the audience. Warnings by the defendant may also provide a defense depending upon the jurisdiction and circumstances. This issue arises, for example, in the duty of care that landowners have for guests or trespasses, known as occupiers' liability. If the victim has contributed to causing their own harm through negligent or irresponsible actions, the damages may be reduced or eliminated entirely. The English case Butterfield v. Forrester (1809) established this defense. In England, this "contributory negligence" became a partial defense, but in the United States, any fault by the victim completely eliminated any damages. This meant that if the plaintiff was 1% at fault, the victim would lose the entire lawsuit. This was viewed as unnecessarily harsh and therefore amended to a comparative negligence system in many states; as of 2007 contributory negligence exists in only a few states such as North Carolina and Maryland. In comparative negligence, the victim's damages are reduced according to the degree of fault. Comparative negligence has been criticized as allowing a plaintiff who is recklessly 95% negligent to recover 5% of the damages from the defendant. Economists have further criticized comparative negligence as not encouraging precaution under the calculus of negligence. In response, many states now have a 50% rule where the plaintiff recovers nothing if the plaintiff is more than 50% responsible. If the claimant is involved in wrongdoing at the time the alleged negligence occurred, this may extinguish or reduce the defendant's liability. The legal maxim ex turpi causa non oritur actio, Latin for "no right of action arises from a despicable cause". Thus, if a burglar is verbally challenged by the property owner and sustains injury when jumping from a second story window to escape apprehension, there is no cause of action against the property owner even though that injury would not have been sustained but for the property owner's intervention. Historically, immunity has been granted to governments under sovereign immunity and to charitable organizations under charitable immunity, although these have eroded in the United States. Various laws limit liability when giving aid to a person in need; liability can arise from a failure to help due to the duty to rescue. The main remedy against tortious loss is compensation in damages or money. In a limited range of cases, tort law will tolerate self-help, such as reasonable force to expel a trespasser. This is a defense against the tort of battery. Further, in the case of a continuing tort, or even where harm is merely threatened, the courts will sometimes grant an injunction, such as in the English case Miller v Jackson (1977). This means a command, for something other than money by the court, such as restraining the continuance or threat of harm. Usually injunctions will not impose positive obligations on tortfeasors, but some Australian jurisdictions can make an order for specific performance to ensure that the defendant carries out their legal obligations, especially in relation to nuisance matters. Scholars and lawyers have identified conflicting aims for the law of tort, to some extent reflected in the different types of damages awarded by the courts: compensatory, aggravated, and punitive. British scholar Glanville Williams notes four possible bases on which different torts rested: appeasement, justice, deterrence and compensation. From the late 1950s a group of legally oriented economists and economically oriented lawyers known as law and economics scholars emphasized incentives and deterrence, and identified the aim of tort as being the efficient distribution of risk. Ronald Coase, a principal proponent, argued in The Problem of Social Cost (1960) that the aim of tort should be to reflect as closely as possible liability where transaction costs should be minimized. Since the mid-to-late 20th century, calls for reform of tort law have come from various perspectives. Some calls for reform stress the difficulties encountered by potential claimants. For example, because not all people who have accidents can find solvent defendants from which to recover damages in the courts, P. S. Atiyah has called the situation a "damages lottery". Consequently, in New Zealand, the government in the 1960s established a no-fault system of state compensation for accidents. Similar proposals have been the subject of Command Papers in the UK and much academic debate. In the U.S., reform has typically limited the scope of tort law and damages available, such as limiting joint and several liability, the collateral source rule, or capping noneconomic damages for emotional distress or punitive damages. These reform statutes are sometimes rejected as unconstitutional under the state constitutions by state supreme courts, with the Seventh Amendment to the United States Constitution possibly also relevant. Theoretical and policy considerations are central to fixing liability for pure economic loss and of public bodies. Tort is sometimes viewed as the causes of action which are not defined in other areas such as contract or fiduciary law. However, tort and contract law are similar in that both involve a breach of duties, and in modern law these duties have blurred and it may not be clear whether an action "sounds in tort or contract"; if both apply and different standards apply for each (such as a statute of limitations), courts will determine which is the "gravamen" (the most applicable). Circumstances such as those involving professional negligence may involve both torts and contracts. The choice may affect time limits or damages, particularly given that damages are typically relatively limited in contract cases while in tort cases noneconomic damages such as pain and suffering may be awarded. Punitive damages are relatively uncommon in contractual cases versus tort cases. However, compensation for defective but not unsafe products is typically available only through contractual actions through the law of warranty. In the United Kingdom, plaintiffs in professional negligence cases have some degree of choice in which law while in commercial transactions contract law applies; in unusual cases, intangible losses have been awarded in contract law cases. In the United States, the pure economic loss rule has been used to "mark the boundary" between tort and contract law cases and courts may consider a case which involves both causes to fall under only one area of law. This "economic loss rule" was adopted by the Supreme Court of the United States East River Steamship Corp V Transamerica Delaval Inc. (1986) and has expanded across the country in a non-uniform manner, leading to confusion. Among other examples, the tort of insurance bad faith arises out of a contractual relationship, and "collateral torts" such as wrongful dismissal involving possible overlap with labour law contracts. There is some overlap between criminal law and tort. For example, in English law an assault is both a crime and a tort (a form of trespass to the person). A tort allows a person, usually the victim, to obtain a remedy that serves their own purposes (for example by the payment of damages to a person injured in a car accident, or the obtaining of injunctive relief to stop a person interfering with their business). Criminal actions on the other hand are pursued not to obtain remedies to assist a person – although often criminal courts do have power to grant such remedies – but to remove their liberty on the state's behalf. This explains why incarceration is usually available as a penalty for serious crimes, but not usually for torts. In early common law, the distinction between crime and tort was not distinct. The more severe penalties available in criminal law also means that it requires a higher burden of proof to be discharged than the related tort. For example, in the O. J. Simpson murder trial, the jury was not convinced beyond reasonable doubt that O. J. Simpson had committed the crime of murder; but in a later civil trial, the jury in that case felt that there was sufficient evidence to meet the standard of preponderance of the evidence required to prove the tort of wrongful death. Many jurisdictions, especially the US, retain punitive elements in tort damages, for example in anti-trust and consumer-related torts, making tort blur the line with criminal acts. Also there are situations where, particularly if the defendant ignores the orders of the court, a plaintiff can obtain a punitive remedy against the defendant, including imprisonment. Some torts may have a public element – for example, public nuisance – and sometimes actions in tort will be brought by a public body. Also, while criminal law is primarily punitive, many jurisdictions have developed forms of monetary compensation or restitution which criminal courts can directly order the defendant to pay to the victim. ↑ The word is derived from Old French and Anglo-French "tort" (injury), which is derived from Medieval Latin tortum,. See Online Etymology Dictionary. 1 2 3 4 5 6 7 Malone WS. (1970). Ruminations on the Role of Fault in the History of the Common Law of Torts. Louisiana Law Review. ↑ See Medieval Sourcebook: The Anglo-Saxon Dooms, 560–975. Internet Medieval Source Book by Fordham University. ↑ Bruce R. O'Brien, "Anglo-Saxon Law", in The Oxford International Encyclopedia of Legal History, vol. 1 (Oxford: Oxford UP, 2009), 179. ↑ David Ibbetson, "Tort: English Common Law", in The Oxford International Encyclopedia of Legal History, vol. 5 (Oxford: Oxford UP, 2009), 467. ↑ Sebok A. (2011). What is Wrong with Wrongdoing. Florida State University Law Review. 1 2 3 4 Goldberg JCP. (2005). The constitutional status of tort law: Due process and the right to a law for the redress of wrongs. Yale Law Journal. ↑ Goldberg JCP, Zipursky BC. (2010). Torts as Wrongs. Texas Law Review. ↑ Michael L. Rustad, Thomas F. Lambert Jr.. Book Review of: A Revisionist History of Tort Law: from Holmesian Realism to Neoclassical Rationalism. Suffolk University Law School. 1 2 American Association for Justice (1996). Top 10 in torts: evolution in the common law..
↑ Goldberg JCP. (2008). Ten Half-Truths About Tort Law. Valparaiso University Law Review. 1 2 3 4 Cane P. (2012). Searching for United States Tort Law in the Antipode. Pepperdine Law Review. 1 2 3 4 5 6 7 Atiyah PS. (1987). Tort Law and the Alternatives: Some Anglo-American Comparisons. Duke Law Journal. ↑ Chamallas M, Vriggins JB. (2010). The Measure of Injury: Race, Gender, and Tort Law, p. 68. 1 2 Gergen M. (1995). Grudging Defense of the Role of the Collateral Torts in Wrongful Termination Litigation Employment. Texas Law Review. ↑ Ferrari F. (1994). Donoghue v. Stevenson's 60th Anniversary. Annual Survey of International & Comparative Law. ↑ Twerski. (2009). Third Restatement of Torts: Issue One: Article: Negligence Per Se and Res Ipsa Loquitur: Kissing Cousins. Wake Forest Law Review. Prepublication copy. ↑ Sadler, Pauline (2009). "Liability for Negligent Misrepresentation in the Finance Industry" (PDF). The Finance Industry. 11. ↑ "March v E Stramare Pty Ltd (1991) 171 CLR 506". austlii.edu.au. Retrieved 4 July 2016. ↑ Ch. 12, Proximate or legal cause LexisNexis Study Outline. ↑ Calvillo-Silva v. Home Grocery, 19 Cal. 4th 714 (1998). ↑ Glantz LH, Annas GJ. (2008). The FDA, Preemption, and the Supreme Court. New England Journal of Medicine. 1 2 Cavert W. (2009). Right to Clean Air? Coal Smoke, Property, and Nuisance Law in Early Modern London World Conference on Environmental History. ↑ Elworthy, Sue; Holder, Jane (1 June 1997). Environmental Protection. Cambridge University Press. p. 67. ISBN 978-0-406-03770-1. Archived from the original on 8 August 2016. Retrieved 8 August 2016. ↑ Christie GC. (1996). The Uneasy Place of Principle in Tort Law. Duke Law Review. ↑ Barton RJ. (2000). Drowning in a Sea of Contract: Application of The Economic Loss Rule to Fraud and Negligent Misrepresentation Claims. William and Mary Law Review. 1 2 3 4 Sorenson T, Davidson M, White M. (2012). When Can A Breach of Contract Be a Tort and What Difference Does it Make?. American Bar Association CLE Seminar. ↑ Saferstein HI. (1990). The Ascendancy of Business Tort Claims in Antitrust Practice. Antitrust Law Journal. 1 2 3 4 5 Ballam DE. (1989). The Expanding Scope of the Tort of Negligent Misrepresentation. Loyola of Los Angeles Law Review. ↑ Chen-Wishart M. (2007). Contract Law. Oxford University Press. 1 2 3 4 5 6 7 Lens JW. (2011). Honest Confusion: The Purpose of Compensatory Damages in Tort and Fraudulent Misrepresentation. Kansas Law Review. 1 2 3 Little WBL. (2007). "It is Much Easier to Find Fault With Others, Than to be Faultless Ourselves": Contributory Negligence as a Bar to a Claim for Breach of the Implied Warranty of Merchantability. Campbell Law Review. ↑ Chapman B. (2008). Punitive Damages as Aggravated Damages: The Case of Contract. Canadian Business Law Journal. ↑ Schwartz VE. (1997). Who Should Make America's Tort Law: Courts Or Legislatures?. Also see Publication record. Washington Legal Foundation. ↑ Competing Tort Law Forums: Courts vs. Legislatures. Coben & Associaties. 1 2 3 4 5 6 Harpwood V. (2009). Modern Tort Law, 7th Edition. Routledge. Ch. 1 available as sample. ↑ LaMance K. (2013). Contract and Tort Law. Legalmatch. ↑ Simmons KW. (2007). The Crime/Tort Distinction: Legal Doctrine And Normative Perspectives. Widener Law Review. ↑ Rufo v. Simpson, 86 Cal. App. 4th 573 (2001). ↑ See also: Ronen Perry, The Role of Retributive Justice in the Common Law of Torts: A Descriptive Theory, 73 Tenn. L. Rev. 177 (2006). Deakin, Johnston and Markesinis (2008). Markesinis & Deakin's Tort Law. Oxford: Oxford University Press. ISBN 978-0-19-928246-3.
van Gerven, W. et al. (eds) (2001). Cases, Materials and Text on National, Supranational and International Tort Law. Oxford: Hart Publishing. ISBN 1-84113-139-3. P.S.A.Pillai's (2014). Law of Tort. ISBN 978-93-5145-124-2. Eoin Quill (2014). Torts in Ireland. ISBN 978-07-1715-970-3.